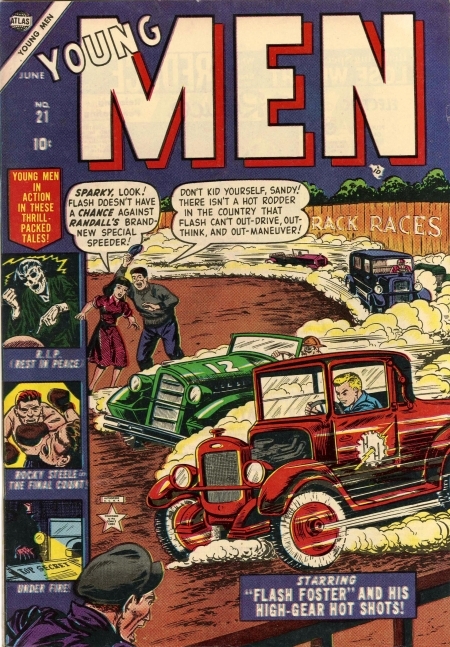 Title reverts to Young Men and masthead on cover redesigned, both to reflect change in genre. Notes in the bottom margin of the last page of each story show that Flash Foster and Rocky Steele were considered "adventure" stories, Rex Lane, "suspense," and Buzz Brand, "war." - Tom Lammers.